Superstar duo Florida Georgia Line performed their brand new single “Dirt,” which continues to top the iTunes all genre chart, on LIVE with Kelly and Michael yesterday (7/9). FGL also chatted with the show’s hosts about their Republic Nashville sophomore album due out this fall, the launch of their Dirt Campaign to benefit Habitat for Humanity and fun tidbits such as how to make love to the camera. The ACM Vocal Duo of the Year then closed out the show with “This Is How We Roll” (featuring Luke Bryan), their fifth consecutive Platinum-certified hit from their chart-topping, 2X Platinum debut HERE’S TO THE GOOD TIMES. Watch FGL perform “Dirt” here. 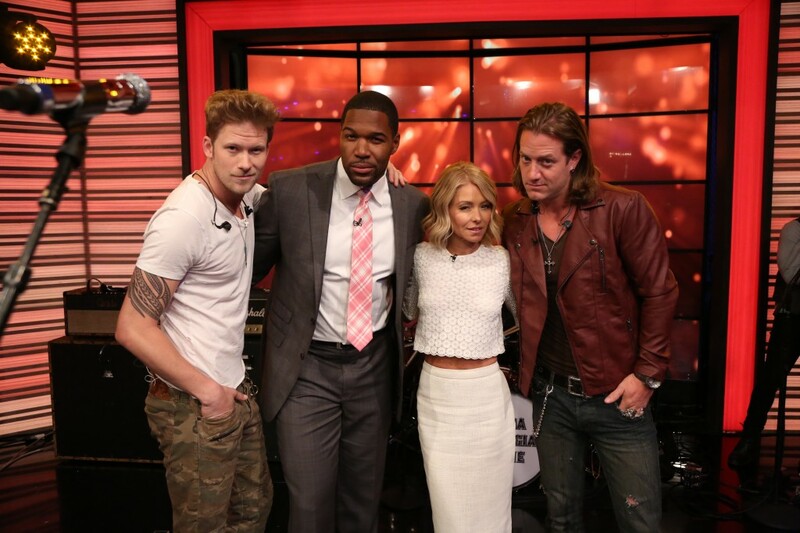 Attached Photo – FGL showing LIVE hosts Kelly and Michael how to make love to the camera!